Solid board for high performance decking. 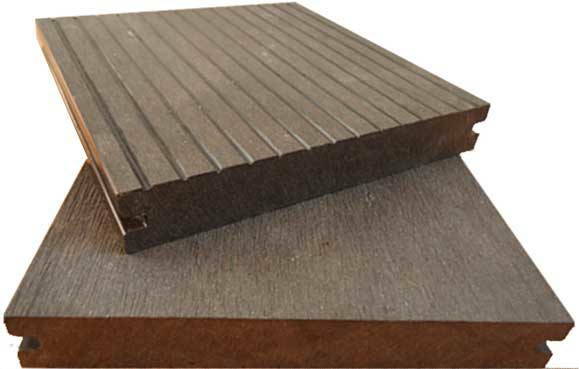 Solid WPC Decking, Medium groove surface one side and flat surface other side. Sanded finish surface treatment anti-slippery. The solid WPC decking is designed to decorate areas with heavy transit or when it’s required high performance decking. NeoPack is an outdoor decking which boards dimensions are: 2,2 m length, 14,6 cm width and 2,2 cm thickness. It is available in colour Coffee and Sand. Without splinter, split, crack, or rot. No more painting, staining or sealing. Sanded surface for a natural wood look, available in variety of finishes and colors. Stands up to harsh weather. Special tools not required. Installed under WPC joist and hidden clips system. The joists are made of Wood Plastic Composite and they are used in the base of the installation of decking boards or wall panels. They allow to level the surface. The hidden clips of pvc are strong and durable. They are used to install the decking and attach the boards to the joist. Screws are included. The end cover is used as finish board in the edge of swimming pools and for corners in decking installations. They can be used also in the installation of wall panels or cladding. It is made from 2 boards of decking and 1 joist that allow to keep the pieces in 90 degrees. The corner is build in the moment of the installation. Tarima composite terraza chalet NeoPack Coffee. NeoPack Coffee. Terraza apartamento ático. NeoPack Sand. Tarima sintética exterior piscina en color Sand claro. NeoPack Coffee. Tarima madera sintética maciza. NeoPack Coffee. Tarima terraza porche exterior. *Actual product colors might differ due to the light conditions when the photo was taken, device screen luminosity and between batches. Utilizamos cookies propias y de terceros para realizar el análisis de la navegación de los usuarios y mejorar nuestros servicios. Puede obtener más información, o bien conocer cómo cambiar la configuración, pulsando Política de Cookies.